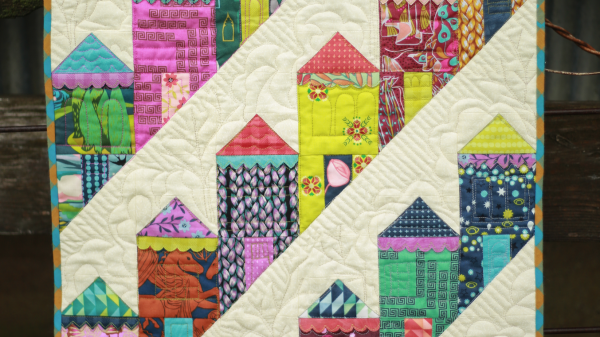 Since the original Painted Ladies Quilt was inspired by the iconic neighborhood in San Francisco, the Fierce Ladies were inspired by doll houses. How sweet would it be to have a tiny version of those beautiful houses to play with? This 18" x 24" quilt uses your scraps. Add fun and interesting elements will ribbon, buttons, and trims.